What are Wood Pellets and What are They Made From? in the picture at the right. 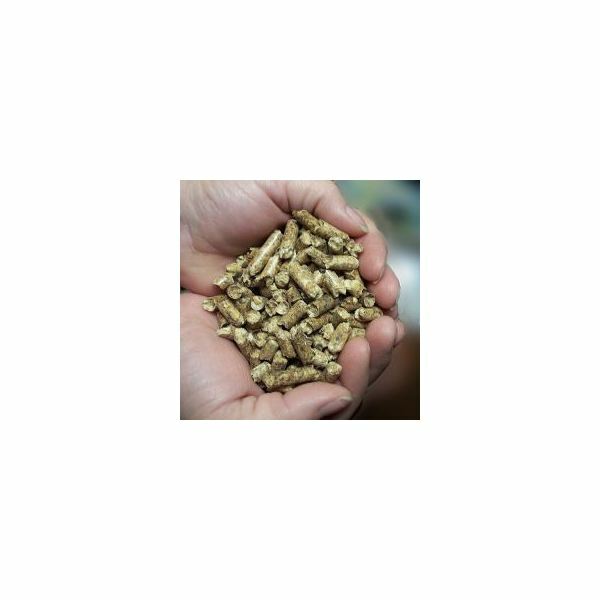 Although these pellets can be made from nut hulls, grass, straw, or almost any agricultural waste material, most of the pellets are really "wood" pellets and are made from wood waste like sawdust or wood shavings. Natural resins and binders in the waste wood material (called lignins) bind the wood waste material together in the pellets, so no additives are usually needed. Wood pellet fuel use is growing for wood pellet stoves and wood pellet furnaces. Where Can I Purchase Wood Pellets and for How Much? You can purchase wood pellet fuel for residential heating in 40-pound bags, typically at farm and building supply stores. For larger scale commercial or institutional use, bulk delivery of wood pellets can usually be arranged. If you can’t easily find a source to purchase wood pellets in your area, try the Pellet Fuels Institute website. They have a list of 62 manufacturers of wood pellets arranged by region in the U.S. and five Canadian wood pellet manufacturers with a telephone number for each. They suggest calling one or more of the manufacturers that are nearest to you to obtain information about wood pellet retailers in your area. Stoves Online Ltd. has similar information for locating a source for wood pellets in the U.K.
Wood pellets are marketed in three grades: i) premium grade with an ash content below 1%; ii) standard grade with an ash content between 1% and 2%; and iii) industrial grade with an ash content of 3% or greater. Only the premium and standard grade are suitable for use in residential wood pellet stoves. Some stoves require the premium grade. The cost of wood pellets fluctuates to some extent, but not a great deal. The cost to purchase wood pellets ranged from $219/ton to $269/ton as of June 10, 2010, based on information from the Hearth.com website. Wood pellets are a compact high density fuel because of the pressure used in making them. Here are some comparisons that you can use to compare the cost of heating with wood pellets to heating with your current fuel. Wood pellets are made with a wood pellet mill and perhaps a hammer mill (grinder). The biomass raw material is first ground to a fine, uniform consistency by passing it through the hammer mill, if necessary. Saw dust already has a fine consistency and usually doesn’t require this step. The sawdust or ground biomass is then pressed into pellets under high pressure and temperature in a wood pellet mill, also sometimes called a wood pellet press. If you are a DIY type and handy at that sort of thing, there are quite a few internet sites where a home wood pellet mill and instruction guide on how to make wood pellets can be purchased.